Prof. Samart (Sam) Powpaka was Associate Professor of Marketing at The Chinese University of Hong Kong (CUHK). 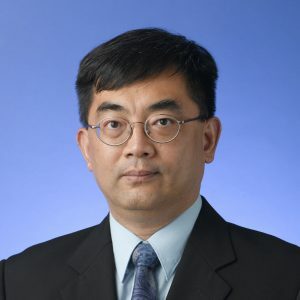 He is currently Associate Professor at CUHK-Shenzhen and Adjunct Associate Professor at CUHK. His research was published in refereed journals including Journal of International Marketing, Journal of Business Research, Journal of Business Ethics, Journal of Public Policy and Marketing, and Journal of Pharmaceutical Marketing. Samart Powpaka (2008), “Empowering Chinese Service Employees: A Reexamination and Extension,” Journal of Global Marketing, 21(4), 271-291. Samart Powpaka (2006), “How Market Orientation Affects Female Service Employees in Thailand,” Journal of Business Research, 59, 54-61. Samart Powpaka (2002), “Factors Affecting Managers’ Decision to Bribe: An Empirical Investigation,” Journal of Business Ethics, 40(3), 227-246. Samart Powpaka (2001), “Consumers’ Brand Choice of Pharmaceutical Products During Economic Depression: An Empirical Investigation,” Journal of Pharmaceutical Marketing & Management, 14(1), 27-61. Samart Powpaka (1999), “Positioning in Practice,” Sasin Journal of Management, 5, 79-97. Samart Powpaka (1998), “Factors Affecting the Adoption of Market Orientation by Employees: The Case of Thailand,” Journal of International Marketing, 6(1), 33-55. Samart Powpaka (1996), “Factors Affecting the Doctor’s Adoption of a New Pharmaceutical Product: An Empirical Investigation,” Journal of Pharmaceutical Marketing and Management, 11(2), 67-97. Samart Powpaka (1996), “Modelling Organ Donation Behaviour: A Test of the Theory of Planned Behaviour Model,” Journal of Nonprofit & Public Sector Marketing, 4(3), 33-62. Samart Powpaka (1996), “The Effect of Market Orientation on Business Profitability: An Empirical Investigation of Thai Companies,” Sasin Journal of Management, 2(2), 60-73. Samart Powpaka (1996), “The Role of Outcome Quality as a Determinant of the Overall Service Quality in Different Categories of Service Industries,” Journal of Services Marketing, 10(2), 5-25.